The rapid diversification of a species to suit many different environments. A subunit within a cell that has a specific function. There are many types of organelles, such as the nucleus, mitochondria, and vacuole. Molecules that have many important roles in metabolism. Proteins are simply chains of amino acids. In Genesis 1:31, we see God say that everything He had made was very good. There was no disharmony in this new creation, nor was it subject to death. Humans were created in the image of God, to rule over everything that God had created. Humans were the crowning act of God's Creation. He honored them by granting them dominion of the newly created world. Humans were different from all the other animals because they were created in the image of God. They were granted intellectual capacity, a creative spirit, a sense of morality, and the freedom of choice. The creation of humankind was to bring glory to God throughout eternity. I will say to the north, Give up; and to the south, Keep not back: bring my sons from far, and my daughters from the ends of the earth; Even every one that is called by my name: for I have created him for my glory, I have formed him; yea, I have made him (Isaiah 43:6-7). These verses show that the people God created are His sons and daughters; they were created for His glory. In the book of Hebrews, Paul sheds some interesting light on the subject of Creation when he wrote, "Thou madest him a little lower than the angels; thou crownedst him with glory and honour, and didst set him over the works of thy hands" (Hebrews 2:7). The Greek word brachus, translated here "a little," literally means "for a little while." The full meaning of the text, then, is actually "for a little while lower than the angels." In the restored world, the angels will not rule upon the earth, but rather restored humans will sit with Christ in His throne. "For unto the angels hath he not put in subjection the world to come, whereof we speak" (Hebrews 2:5). "To him that overcometh will I grant to sit with me in my throne, even as I also overcame, and am set down with my Father in his throne" (Revelation 3:21). Before the earth is restored, however, there is some overcoming to be done. We have sinned and forfeited our great privilege (Romans 3:23). The Scriptures teach that our suffering will be transformed into glory through the purchase of the blood of Christ. Through Christ, we can overcome and be conquerors together with Him. Only then will our full potential be realized. "And that he might make known the riches of his glory on the vessels of mercy, which he had afore prepared unto glory" (Romans 9:23). "For, behold, I create new heavens and a new earth: and the former shall not be remembered, nor come into mind" (Isaiah 65:1). "For as the new heavens and the new earth, which I will make, shall remain before me, saith the LORD, so shall your seed and your name remain" (Isaiah 66:2). "Nevertheless we, according to his promise, look for new heavens and a new earth, wherein dwelleth righteousness" (2 Peter 3:13). The Scriptures also teach that the whole creation is groaning while we wait for the promised restoration to be completed, the people of God to be revealed, and death to come to an end. Not only is humankind suffering from the consequences of sin, but the entire creation is also groaning under the burden of decay (Romans 8:19-22). The Genesis account of Creation and the Fall is the exact opposite of the naturalistic view of origins. Genesis portrays a decline from perfection to degeneration and decay, whereas the naturalistic approach suggests an advance from chaos to order and perfection. According to naturalism, death is used to "create" better-adapted forms, and the cycles of death—which are enacted on the planet through prey and predator relationships—are the nurturing ground for adaptive radiation. According to the Scriptures, however, prey-predator relationships originally never existed and will also not exist in the earth made new. The wolf also shall dwell with the lamb, and the leopard shall lie down with the kid; and the calf and the young lion and the fatling together; and a little child shall lead them (Isaiah 11:6). And God said, Behold, I have given you every herb bearing seed, which is upon the face of all the earth, and every tree, in the which is the fruit of a tree yielding seed; to you it shall be for meat. And to every beast of the earth, and to every fowl of the air, and to every thing that creepeth upon the earth, wherein there is life, I have given every green herb for meat: and it was so (Genesis 1:29-30). According to this verse, all creatures were vegetarian and the human diet consisted of seeds and fruits. There could have been no harmful bacteria or parasites—no creatures with harmful effects at all. What happened, then, to mar this perfection? Sin entered in, turning the perfect world upside down. According to Scripture, sin entered the world and changed the order of nature. For example, the serpent was cursed and forced to move on its belly. The relationship between man and woman was also changed through the entrance of sin. The ground was cursed and Adam would have to earn his bread by the sweat of his brow. This means that the provision of the necessities of life was to become his burden in the transformed world. The greatest evidence for design lies in genomes, which are strings of genetic material that exist in each cell of an organism. Scientists say that mutations in genomes are the nurturing ground for providing new and exciting genetic material, but only the opposite has been shown to be true in actual observations and experiments. Some 3000 mutations have been identified in the fruit fly Drosophila alone, and all of them are either harmful or have no effect.iii None of the mutations produced more successful fruit flies. The most important nurturing ground for evolution thus seems hopelessly inadequate, or rather counterproductive, to the evolutionary process. In addition, we need to remind ourselves that natural selection cannot create anything. It can only select from what is already there, and only if it is expressed in the phenotype. The entire Genome thus exudes design. DNA is not alive. It is a dead molecule and needs the machinery of the living cell to make copies of itself. The information for that cell is, however, in the Genome, and the DNA is simply the carrier of the information. In order to read the information, there must be equipment to unravel it and translate it, and the information for that equipment is in the DNA itself. No matter how one looks at it, design is the only solution. The electrical design and storage capacity of the nervous system is one such astounding mystery. There may be up to 100 trillion synapses in the brain, and each one acts as a filter, a signal disseminator, and a calculator ensuring the flow and filtering of information. The capacity to store information is infinite and, to crown it all, the brain makes it possible to appreciate beauty, it makes us creative, and makes us capable of moral judgments. In the case of the countercurrent multiplier system in the kidney, for example, no halfway-developed system would work. These countercurrent systems make for highly efficient oxygen exchange and they create the capacity to concentrate urine against concentration gradients. The systems have to be complete before they work. This implies design. Scientists have used computer models to reconstruct the possible evolution of the eye, but notoriously absent from these models is the intricate retina, which contains more than 100 million light-sensitive rods and cones that enable us to see in dim and bright light and provide color vision. Also absent from their models are the mechanisms which control the lens and iris and the mechanisms which lead to the perception and translation of the information. Scientists have still not been able to fully understand how the brain converts the simple nerve impulses from the eye into images. In fact, the eye is brilliantly designed. 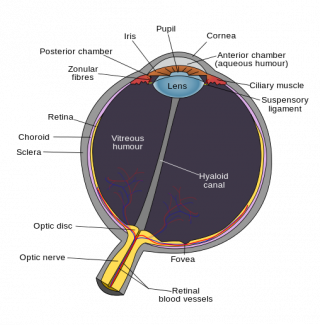 The retina is inside out for a very specific purpose. In the area of the retina that is responsible for sharp vision—the fovea—the nerve cells are almost completely absent, and the nerve fibers radiate away from the central region, thus allowing clear vision. Of course, the pigment epithelium must lie exactly where it does lie, since it not only absorbs old disks, but also supplies the nutrients needed for the production of new ones and receives these nutrients from the rich blood supply in the choroids layer right next to it. Without the blood supply, the whole system would break down. If the retina was orientated the other way, the blood supply would also have to be on the inside of the eye between the light sources and the rods and cones, totally disrupting vision. For example, even though the fly Ormia ochracea's ears are only half a millimeter apart, it can source the direction that sound comes from with pinpoint accuracy.ix,x The difference in the time between the two ears hearing the sound is only 1 millionths of a second, with practically 0% intensity difference. This amazing ability is achieved by coupling the eardrums with a flexible lever, resulting in resonance, which increases the time difference 40-fold. The drum nearest the sound then also vibrates some 10 decibels stronger. The nerves also respond in coded fashion creating a further fivefold increase. These masterful design features are already being incorporated into hearing aids and could be used in directional microphone technology. If we look at the marvelous relationships that exist in nature between animals and plants, it is hard to envision how such harmony could have come about by strategies and counterstrategies of co-evolution. 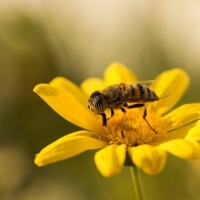 Numerous plants can only be pollinated by specifically adapted insects that in turn are nurtured by the plants themselves. Evolutionists explain these relationships by suggesting that the two co-evolved. However, what if the fortuitous mutations were out of synchronization? Then the species would not survive. Moreover, considering the millions of such relationships that exist in the world, the likelihood of them having come about by chance is extremely remote. The beautiful and astounding complexities of nature point to a loving Creator God, not to a multi-million year evolution. However, organisms do have the capacity to adapt. i Charles Darwin, The Autobiography of Charles Darwin and selected letters (New York: Dover Publications, 1958). ii Charles Darwin, “The Essay of 1844” in Darwin for today: the essence of his works (New York: The Viking Press, 1963). iii D.L. Lindsay and E.H. Grell, “Genetic Variations of Drosophila melanogaster” in Publication 627, (Carnegie Institution of Washington: 1967). iv M. Behe, Darwin's Black Box (New York: The Free Press, 1996). vi Charles Darwin, The Origin of Species (New York: Heritage Press [reprint], 1963). vii Steve Jones, Almost like a whale: the Origins of Species updated (London: Doubleday, 1999). viii “How dolphins hear without ears,” New Scientist 164 (2000): 17.
xi A.C. Mason et al., “Hyperacute directional hearing in a microscate auditory system,” Nature 410 (2001): 686-690.
x P.M. Narins, “In a fly’s ear,” Nature 410 (2001): 644-645.